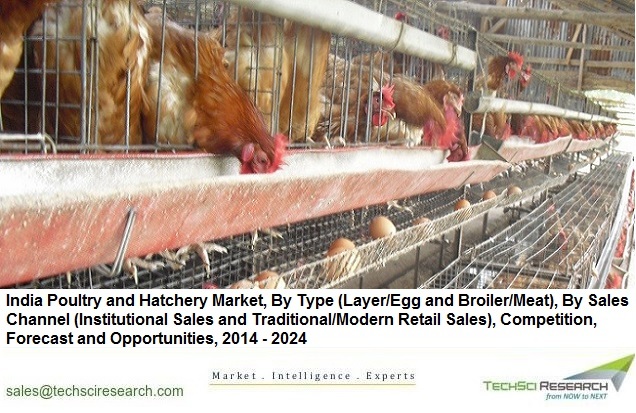 According to TechSci Research report, “India Poultry and Hatchery Market, By Type, By Sales Channel, Competition, Forecast and Opportunities, 2014 – 2024”, India poultry and hatchery market is estimated to register a CAGR of over 12% during 2019 – 2024, to attain the market value of over $ 29.6 billion by 2024. Anticipated growth in the market can be attributed to rising young and dynamic population which is showing high inclination towards non-vegetarian food products, growing awareness about nutritional value of meat products along with surging demand for egg-based bakery products. Moreover, rising household disposable income of middle-class population coupled with rapid westernization has resulted in changing taste preferences of Indian consumers, which is further leading to increased consumption of meat products. This factor is anticipated to fuel growth in India poultry and hatchery market during forecast period. Traditional/modern retail stores segment dominates India poultry and hatchery market and is anticipated to maintain its dominance during forecast period as well. However, institutional sales are projected to show rapid growth in the coming years on account of rising tourists footfall in the country and booming HoReCa sector. Moreover, the number of quick-service restaurants such as KFC, McDonald’s, Pizza Hut, and Dominos is increasing in India, which is further expected to drive the demand for processed meat, thereby pushing sales of poultry and hatchery through institutional channel. Suguna Foods Pvt. Ltd., Venkys Group, Sneha Farms Pvt. Ltd., Skylark Group, RM Group, Srinivasa Farms Private Limited, Mulpuri Poultries, Komarla Group, etc. are some of the major companies operating in India poultry and hatchery market. “Rising trend of consumption of protein-rich and high energy diet by health conscious young population particularly in urban regions, is propelling the demand for poultry and hatchery in India. 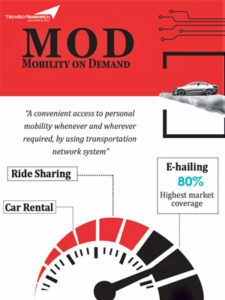 Moreover, rising health concern among consumers along with increasing meat consumption backed by increasing per capita income and rapid urbanization would further steer growth in the market in the coming years.” said Mr. Karan Chechi, Research Director with TechSci Research, a research based global management consulting firm. “India Poultry and Hatchery Market, By Type, By Sales Channel, Competition, Forecast and Opportunities, 2014 – 2024” has evaluated the future growth potential of poultry and hatchery in India and provides statistics and information on market structure, size, share and future growth. The report is intended to provide cutting-edge market intelligence and help decision makers take sound investment decision. Besides, the report also identifies and analyzes the emerging trends along with essential drivers, challenges and opportunities present in India poultry and hatchery market.